Moving on upgrading the operating system, Apple has released iOS 10.0.1 with focus to several fixes. If you are too in a view of stable iOS run, here you have iOS 10.0.1 Download in supported to iPhone, iPad and iPod Touch models operates iOS 10. So here is everything about Apple new software download, install together with all new around jailbreak. iOS 10 is the biggest release ever in Apple’s own words. There is no wonder why it is called the biggest if we have a look on the new iOS 10 control center, immersive iMessage experience, cleanly organized Apple Photos, well-guiding Maps, new HomeKit and all new. But the recent upgraded iOS 10.0.1 is only a small scale update came to view without any beta or pre notice. It primarily comes fixing some of the slight issues reported in iOS 10 times together focusing a stable iOS experience. Just like after every software update you can download iOS 10.0.1 via OTA by simply heading to Settings > General > Software Update > Download and install iOS 10.0.1. If not you can also upgrade iOS 10.0.1 manually through iTunes (If you are in view of iOS 10 jailbreak with upcoming changes, installing through iTunes is more preferable). Prior to process install latest iTunes version on the Windows PC or Mac and make sure to backup all your data. We find powerful signs of iOS 10 jailbreak being subject to the most discussions. As for the most recent we find iPhone 7 jailbreak achieved by reputed iOS hacker/security researcher Luca Todesco proving Cydia version 1.1.26 on latest iPhone 7. 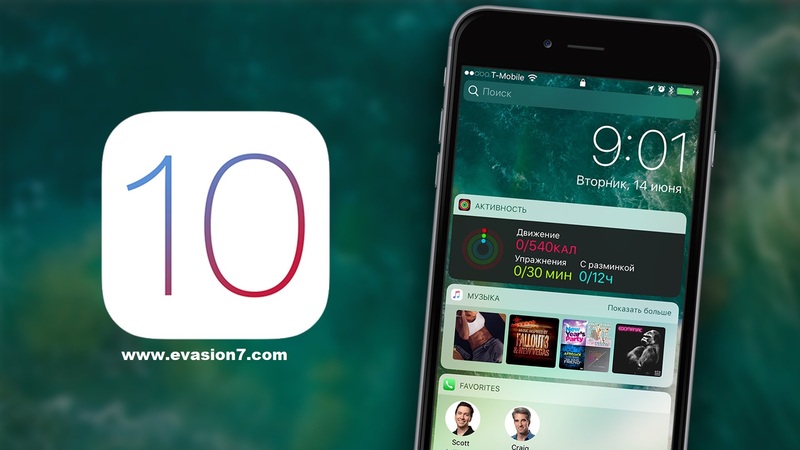 As to the picture he proves Cydia download on iPhone 7 running iOS 10.0.1. Even though developer iH8snow and Luca talks about iOS 10 jailbreak possibilities , we have chance to expect tool releases from them. In that way the chance is once again turning to Pangu, the only team to talk jailbreak iOS 10 at MOSEC. So let’s hope Pangu 10 to be the upcoming task of team Pangu and wait for Cydia download rights. But with thickened security layers Apple has applied on latest iOS 10, the job for Pangu will be tougher. So let’s believe for a soon change and stay awake on all iOS jailbreak Cydia updates. If you head iOS 10.0.1 Download, you will be able to get a more stable iOS experience. So enjoy all new updates from Apple and stay with us to hunt more interesting iOS news.